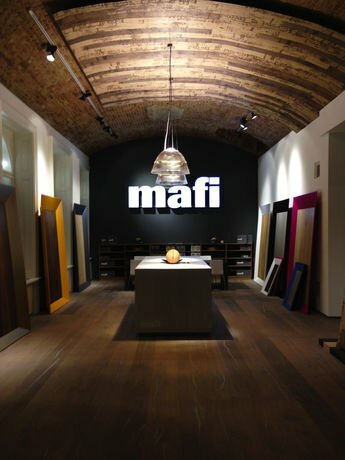 A new production technology enables mafi to curve natural wood planks as easy as wrapping it around up to 360°. 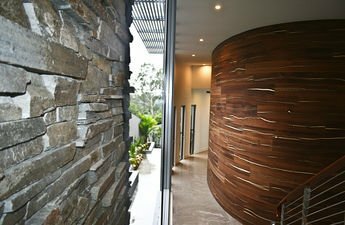 This helps us to be even more flexible and to help our clients to use natural materials in unusual bended ways to do floors, walls, ceilings and furniture pieces. 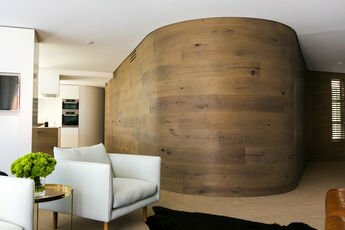 The idea for extremely curved wood was based on the round structure of the tree. We human beings started to use the wood in rectangular planks like floor boards. 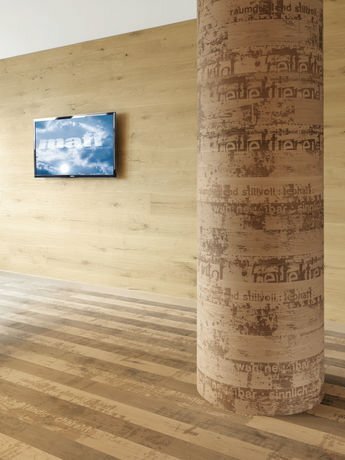 mafi FLEX is a homage to the original and natural round look of the tree - especially when wrapped around a column. The curved planks can either be glued and/or nailed on the prepared substructure. Tongue and groove will keep the planks together. The substructure will provide the intended radius. To bend the planks smoothly we recommend to wash the planks with warm soap water again and again. This reduces inner tensions in the wood and makes the wood fibres more flexible.